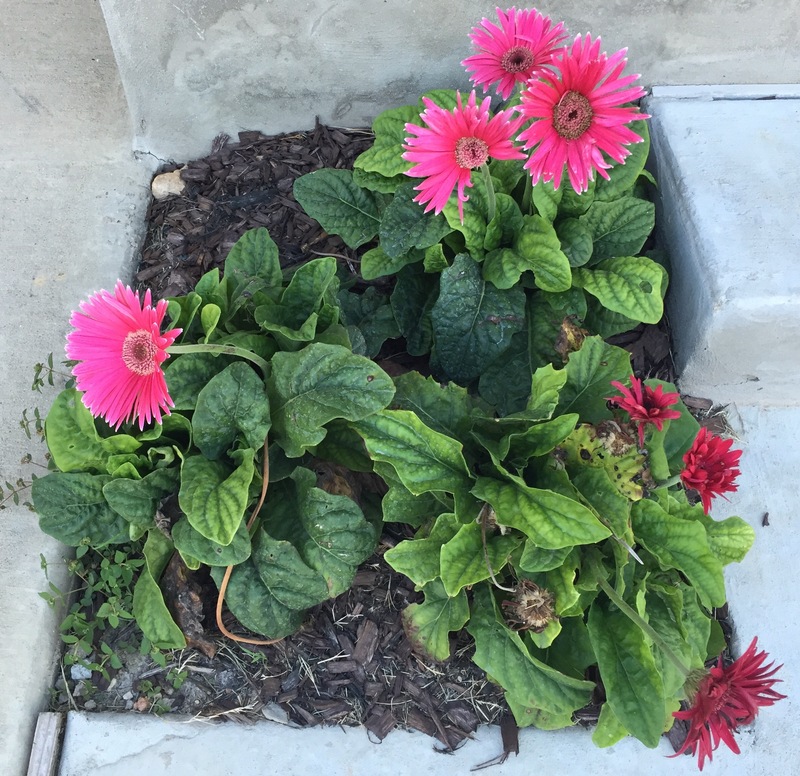 This entry was posted in Gardening and tagged daisies, flowers, geranium, weeds on September 23, 2015 by Julie Riebe. For at least the third time in as many months, the Gerbera daisies in front of my house are flowering. This entry was posted in Gardening and tagged daisies on July 12, 2015 by Julie Riebe. 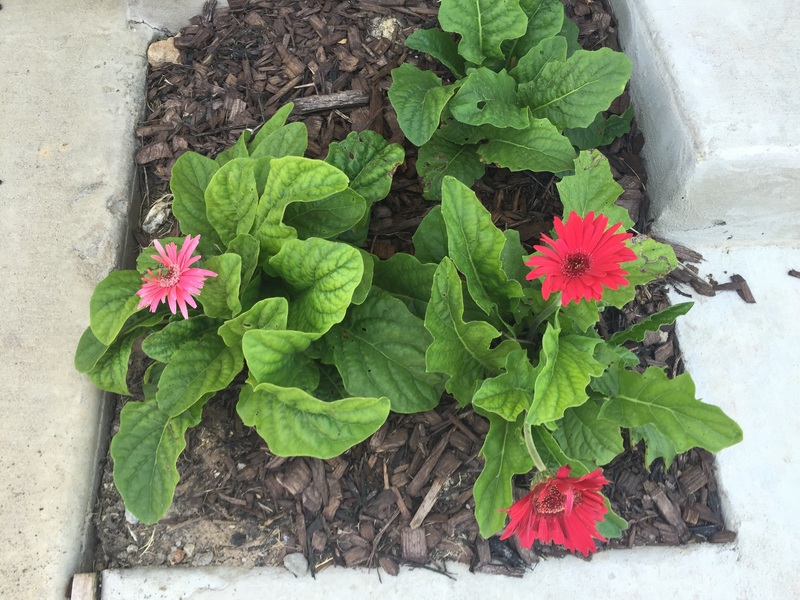 Pretty Gerbera daisies, transplanted in early April. Got a start on putting fresh mulch in the flower beds in front of the house. Whaddya know? Some of the red lettuce appears to be growing! The four sections of the raised garden bed on April 9. This entry was posted in Gardening and tagged daisies, flowers on April 9, 2015 by Julie Riebe.